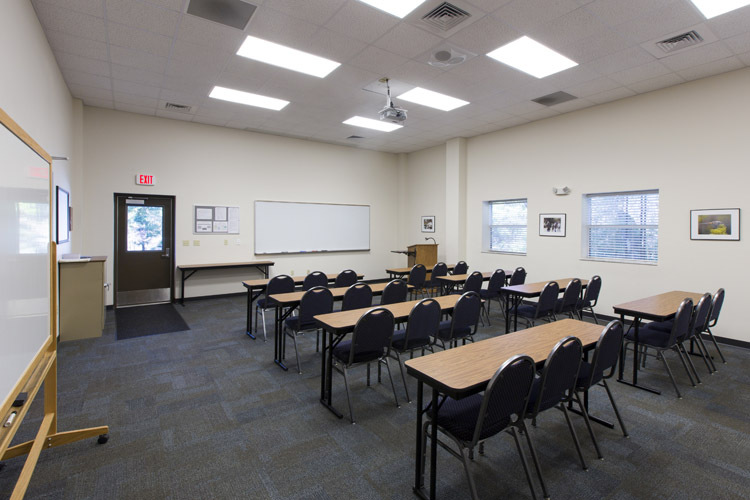 The Station has a 32-person classroom/meeting space at the Duke Campbell Bldg that can be rented for teaching, trainings, and meetings. Marker boards, tack boards, audiovisual equipment and high speed Wi-Fi Internet access are available. 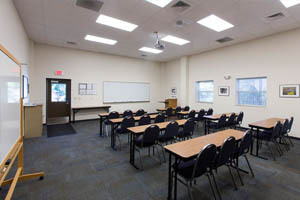 The furniture layout can be rearranged to meet event needs. A galley kitchen is also available for day-long meetings. Please see fee schedule for charges related to using the facility. The Station is considered an outdoor laboratory with 9500 ac to explore for research and teaching. In regards to field lab space, OSBS currently has only a small wet lab for working up samples. Additional onsite lab space is planned for the near future. More advanced lab capabilities may be available on the UF campus. 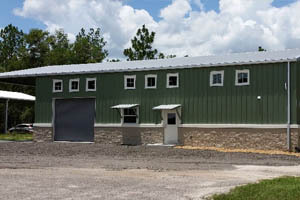 A drying oven and space for working and preparing samples can be made available depending on need. Please discuss your lab requirements with the Associate Director when making your reservation. 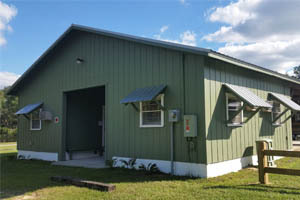 A 4000 sq ft shop for maintenance and repair of equipment as well as fabrication projects is available for station users. It includes workbenches, tools, compressed air outlets, welding equipment and work space. There is also a dedicated clean room established for the repair and maintenance of sensitive equipment such as monitoring sensors, weather stations, etc. 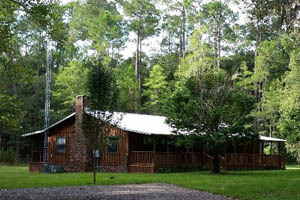 Bldg 2230: Cofrin Cottage: A lake cottage for single or small groups. It can accommodate up to three guests with single occupancy per bedroom. Each bedroom has a twin bed, desk, and a TV. Pillows and linens are provided. 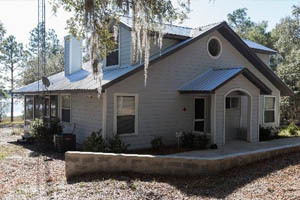 The cottage is fully furnished with ac/heat, a shared bath, full kitchen (including microwave), as well as a washer and dryer. 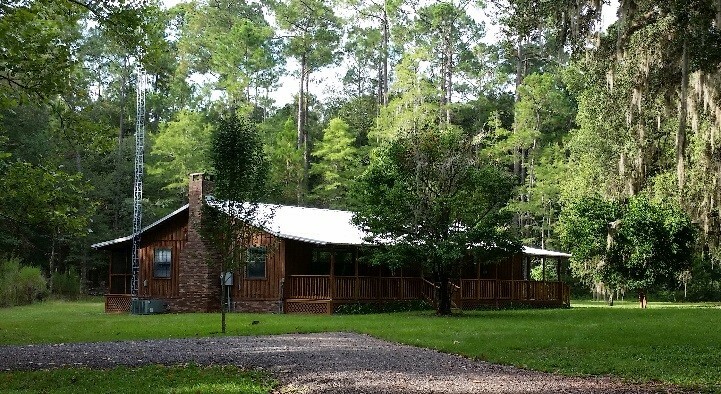 A screened porch overlooks Long Pond. Internet is not provided. For more information on use of this facility, please Click Here. 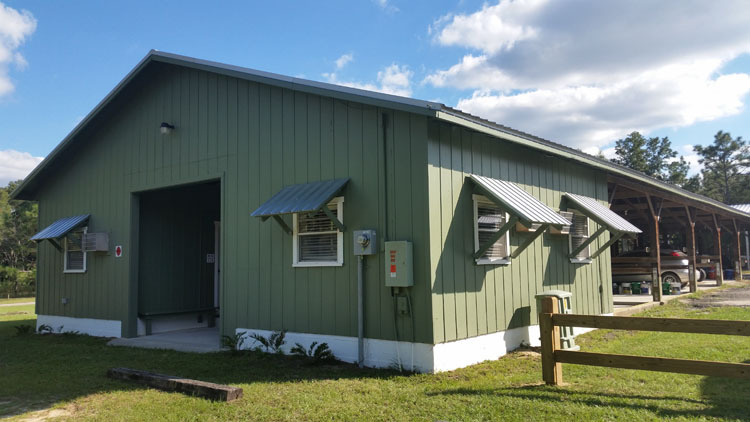 Bldg 2207: Cypress Bunkhouse: For visitors needing larger group housing, an 8-person bunkhouse is available. The bunkhouse is fully furnished with ac/heat, two full baths, full kitchen (including microwave and oven), washer & dryer, TV and Blu-ray player. The facility is shared space (4 bedrooms) with each bedroom having 2-3 XL twin captain beds. Pillows and linens are provided. Cooking is permitted. Internet is not provided. For more information on use of this facility, please Click Here. 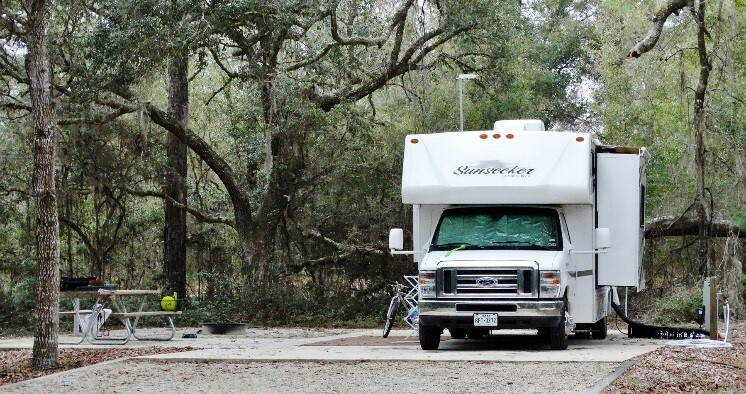 RV Campground: The Station has established an RV campground with full hook-ups (30/50 amp electric, potable water, and sewer hookups). 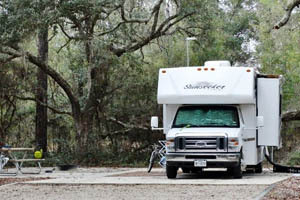 The campground currently has 3 private sites. Each site has a level concrete pad, picnic table, and fire ring. Future updates will provide for a campground washer/dryer and storage space. Two of the sites are reserved for work campers in the winter, but one site is always available for researchers. Internet is not provided.